If you missed this week's screening of 'Intolerance' (1916) at Merrimack College in North Andover, Mass., I'm doing it again this weekend. The film will run on Sunday, Jan. 31 at 4:30 p.m. at the Wilton (N.H.) Town Hall Theatre. We've had some good publicity for this screening, so I'm hoping a good-sized crowd will be on hand. For more info, here's the text of the press release that went out earlier this month. See you there! 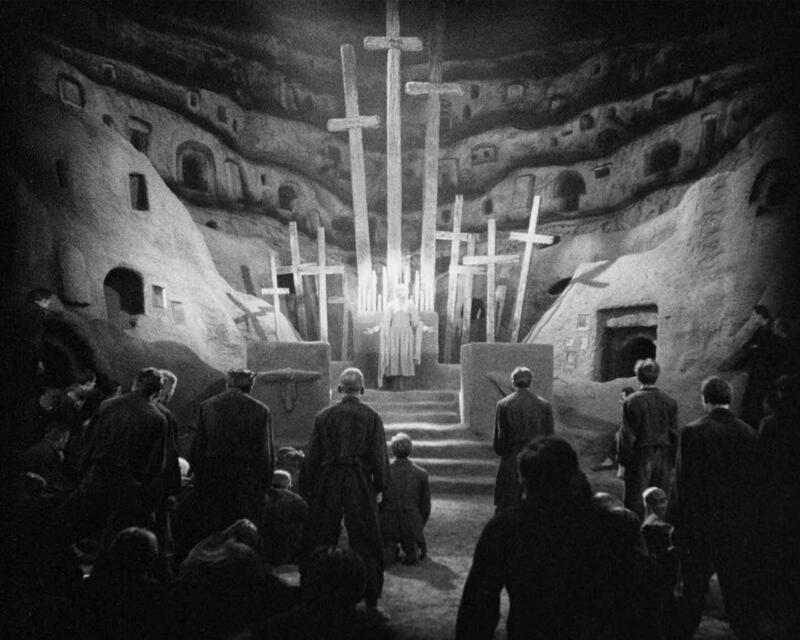 WILTON, N.H.—It was a cinematic breakthrough that changed the movies forever: a three-hour epic knitting together four sweeping stories spanning 2,500 years, all designed to show mankind's struggles and the redeeming power of love throughout human history. 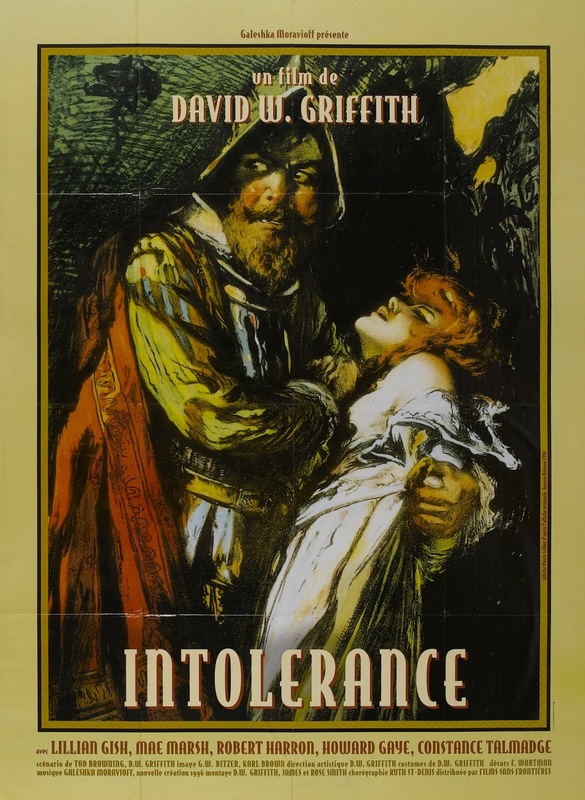 See for yourself with a rare screening of a restored version of 'Intolerance' at the Town Hall Theatre, 40 Main St., Wilton, N.H. on Sunday, Jan. 31 at 4:30 p.m. The program, the latest in the Town Hall Theatre's silent film series, will be accompanied by live music performed by silent film composer Jeff Rapsis. Admission is free, with a suggested donation of $5 per person to help defray expenses. In reviving 'Intolerance' and other great films of Hollywood's early years, the Town Hall Theatre aims to show silent movies as they were meant to be seen—in high quality prints, on a large screen, with live music, and with an audience. Because of its four intertwined stories, 'Intolerance' does not feature any one performer in a leading role. 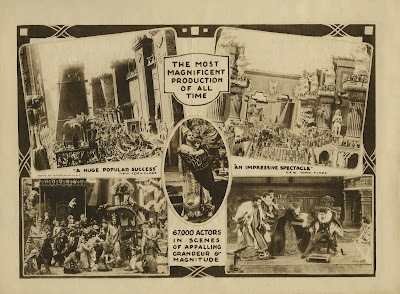 However, the enormous cast includes many great names from the silent era, including Lillian Gish, Mae Marsh, Constance Talmadge, Walter Long (a New Hampshire native), and a young Douglas Fairbanks Sr. in an uncredited cameo as a drunken soldier with a monkey. "This movie was made for the big screen, and this screening at the Town Hall Theatre is a rare chance to see 'Intolerance' the way it was meant to be seen," Rapsis said. ‘Intolerance' will be shown on Sunday, Jan. 31 at 4:30 p.m. at the Town Hall Theatre, 40 Main St., Wilton, N.H. The program is free and open to the public, with a suggested donation of $5 per person to help defray expenses. For more information, call the theater (603) 654-3456 or visit www.wiltontownhalltheatre.com. For more info on the music, visit www.jeffrapsis.com. 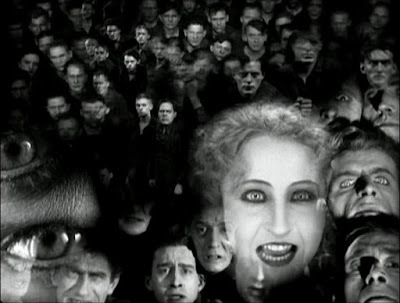 Up next: I'm doing live music for 'Metropolis' (1927), the futuristic sci-fi thriller from Fritz Lang. We're running the film on Friday, Jan. 29 at 7 p.m. in Exeter (N.H.) Town Hall, which might seem familiar even if you've never been there. Why? Because it's often used for political rallies. With New Hampshire's first-in-the-nation Presidential Primary coming up soon, the place winds up on the news a lot. And why? Because the Town Hall's classic New England architecture makes for great visuals. And with competitive races in both parties, the place is in demand. But not this Friday night, as we're doing 'Metropolis.' However, any candidate is welcome to take a break and attend our screening. Hey, maybe he or she might get some ideas on how to better organize society. So if anyone proposes to improve communication by installing large mechanical gongs in all public spaces, you'll know where the idea came from. Below is a press release with all the info about the Exeter 'Metropolis' screening: who, what, where, when. An original poster for 'Metropolis' (1927). 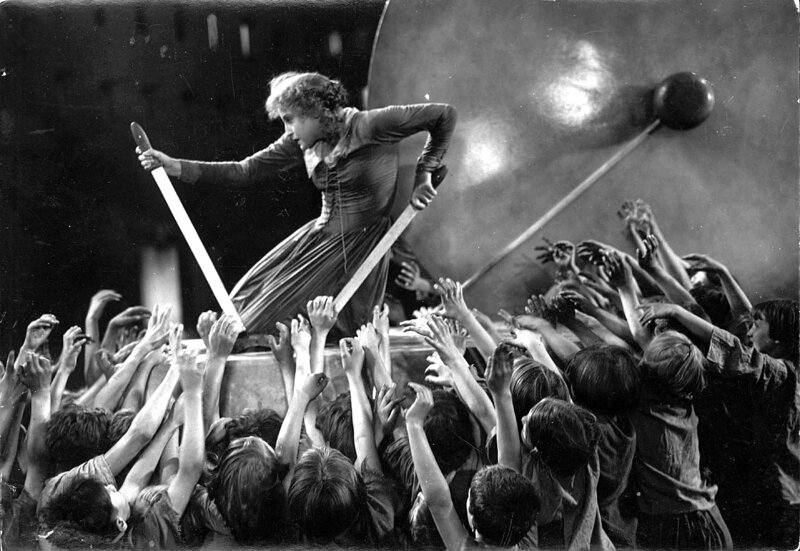 EXETER, N.H.—A silent film hailed as the grandfather of all science fiction fantasy movies will be screened with live music on Friday, Jan. 29 at 7 p.m. at Exeter Town Hall, 9 Front St., Exeter. Music for 'Metropolis' will be performed live by Jeff Rapsis, a New Hampshire-based composer and silent film accompanist who performs at venues around the nation. In reviving 'Metropolis' and other great films of cinema's early years, organizers of the Exeter Town Hall film series aim to show silent movies as they were meant to be seen—in high quality prints, on a large screen, with live music, and with an audience. "All those elements are important parts of the silent film experience," said Rapsis, who will improvise an original live score for 'Metropolis' on the spot. "Recreate those conditions, and the classics of early cinema leap back to life. They featured great stories with compelling characters and universal appeal, so it's no surprise that they hold up and we still respond to them." The version of 'Metropolis' to be screened at Exeter Town Hall is a newly restored edition that includes nearly a half-hour of missing footage cut following the film's premiere in 1927. 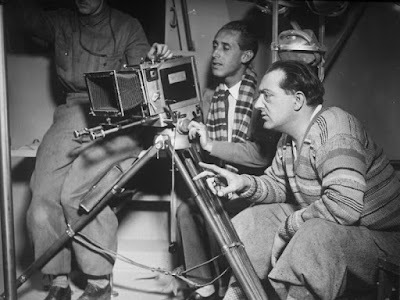 The lost footage, discovered in 2008 in an archive in Argentina, has since been added to the existing 'Metropolis,' allowing plot threads and characters to be developed more fully. The discovery of such a significant amount of material called for yet another restoration, a 2½-hour version that debuted in 2010 to widespread acclaim. It's this fully restored edition that will be screened at Exeter Town Hall. 'Metropolis' is the first in a series of silent film screenings to benefit the Penn Program, a homeschool co-op based in Exeter designed to challenge and engage creative students of high school age. The restored 'Metropolis' will be shown on Friday, Jan. 29 at 7 p.m. at Exeter Town Hall, 9 Front St., Exeter. Admission is free and the screening is open to the public. A donation of $5 per person is suggested, with all proceeds to support the Penn Program. On Tuesday, Jan. 26, I'm doing live music for a screening of Harold Lloyd's 'Safety Last' (1923) at a new venue for me. It's the Portsmouth Music Hall Loft, 131 Congress St. in downtown Portsmouth, N.H. Show time is 7 p.m. and admission is $15 per person. It's the opening program in a film series hosted by Kent Stephens that aims to explore cinematic comedy as it evolves through the 20th century. 1. 'Safety Last' is a great film for live music, which can make a big difference in how an audience experiences Lloyd's blend of comedy and edge-of-your-seat suspense. 2. The Music Hall is where I first heard the Alloy Orchestra, to a screening of Keaton's 'Steamboat Bill, Jr.' (1928) sometime in the 1990s. This pushed me in the direction of taking up the craft myself. Kent will talk about Lloyd and the comedy of 'Safety Last,' so I'll leave that to him. With me, when I ponder 'Safety Last,' I often think of Beethoven's Fifth Symphony. You know? Da da da DUUUMMMMMM! Which prompts the question: What does a Jazz Age romantic comedy have in common with one the sternest, most serious pieces of classical music ever written? Well, as with so much, it's personal. So forgive me as I briefly succumb to that malaise of middle age: the reminiscence. I first got interested in silent film as a kid in the 1970s. At the time, if you really wanted to see silent film, you had to get the actual films and run them yourself. Many were available (in 16mm and 8mm) from the public library, or could be ordered from Blackhawk Films of Davenport, Iowa, which I did. And so I explored and learned about the silent films of Charlie Chaplin, of Buster Keaton, and so many others. Little by little, I came to understand the world of 1920s cinema. 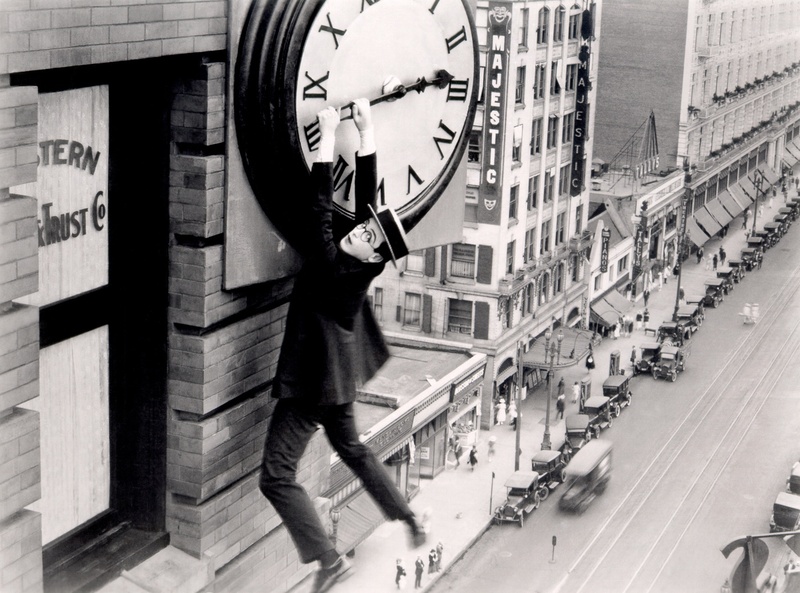 But the films of one person were missing: Harold Lloyd. You could see some of his early short films, but all the big classic features just weren't available. Of course I could read about Lloyd's films. In books, he was often labeled a "thrill" comedian in passages that were inevitably accompanied by the famous image at the top of this post. And that was that. As far as I knew, Lloyd was rooted in the frentic "anything for a laugh" school of comedy, as epitomized by that one photo, used over and over again. Why was he hanging from a clock? There couldn't be any possible reason other than he was just trying to get laughs by being outrageous. And that was my image of Lloyd for quite awhile. At the same time (junior high school), I was beginning to explore the works of the great composers. All along, I had known what Beethoven's Fifth Symphony was all about: da da da DUUUMMMMMM, right? But to my adolescent ears, it came as a a major discovery that 40 minutes of music followed: music that explored a vast emotional landscape ranging from the deepest valleys of despair to the highest summits of ecstacy. I recall it was an RCA recording of Fritz Reiner leading the Chicago Symphony on an LP that was very "close-miked," meaning the voice of each instrument was clear and distinct, as opposed to the general sonic blur you sometimes get from an orchestra in a concert hall. It was unlike anything I had ever heard before. And it was big news to find out all of what came after DUUUMMMMMM. Just as with Beethoven, a whole world opened up to me. Turns out Lloyd wasn't just a clock-hanger! His films had plots, character, settings, and finely honed gag sequences that brought the art of visual comedy to places I had never seen before. And 'Safety Last' wasn't just a flimsy excuse for Lloyd to do stunts on a building. No! It was laid out with a certain inexorable logic that leaves Lloyd's character no choice but to climb the building, floor by increasingly vertiginous floor, while frightened silly the whole way. And as he does it, the film's story virtually requires us to root for him. And when he finally reaches the clockface—the one I'd seen in that picture so many times—the reaction generated is the result of all that has gone on before it. I couldn't believe how well done it was. I finally knew how Lloyd came to hanging from that clockface, and it made all the sense in the world. It also helped me begin to understand why Lloyd was so popular in the 1920s. His films were a lot more than da da da DUUUMMMMMM. They were atually of a very high standard, designed to be experienced by a large audience, and still work like gangbusters when shown as intended. That's what I'm looking forward to happening on Tuesday night, so hope you can join us! 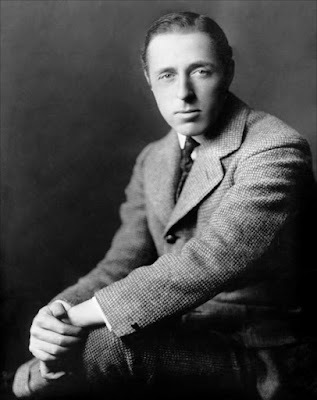 David Wark Griffith, director of 'Intolerance' (1916). D.W. Griffith has long enjoyed a reputation as the "father of film." Example: Each year at the Kansas Silent Film Festival, they show at least one short film of Griffith's to acknowledge his crucial role in motion picture history. This year, it's no different. For their 20th annual festival next month, the Kansas folks are running 'Those Awful Hats' (1909). It's a half-reel novelty short, part of Griffith's voluminous Biograph output, when he must have been being paid for his work by the foot. So for a long time, I just thought of Griffith as a kind of 'George Washington' of cinema: there at the beginning, as someone had to be. Yeah, he pioneered some new ideas such as close-ups and telling two stories at once and cutting between them. But others did those things, too. What's the big deal? And the films themselves seemed hopelessly creaky and old-fashioned. Good enough for their time, perhaps, but cinematic technique rapidly moved on, leaving Griffith epics such as 'Way Down East' (1920) and 'Orphans of the Storm' (1922) as quaint relics from an earlier age. Well—only recently have I come to really understand the crucial role Griffith played in bringing cinema from a novelty to a fully accepted major art form. And it wasn't about camera angles and fancy editing, although those played a part. What it was about was story. Griffith, more than anyone else at the time, really know how to put together a narrative that would grab people's attention and hold it for as long as needed—as much as several hours at a time. And this, I think, played a huge role in convincing the public and the business community about the power of the motion picture. How did Griffith learn how to do this? The hard way: by directing third-rate casts in fourth-rate melodramas that toured small town theaters. In these places, you had to be entertaining or you'd risk getting tarred and feathered. So prior to his film career, Griffith had the best possible training for cinema: a couple of decades of putting on stage plays to extremely unforgiving audiences. By necessity, he became an expert at understanding how to hook an audience and keep it hooked. This is not easy. It involves understanding the at-times unpredictable nature of how crowds behave, which is very different from how an individual may respond to any given situation. It's part mob psychology, part peer pressure, and a fair helping of intuition, I think. But little by little, Griffith accumulated an expertise in constructing stories that could and would mesmerize a crowd. He probably came to understand it in his bones: how to structure a story so as to capture the crowd's attention and then manipulate it to a fever-pitch of excitement. And it was this knowledge, more than anything else, that came in handy when it was time to put together films that went beyond the one-reel dramas that were the mainstay of cinema's early years. 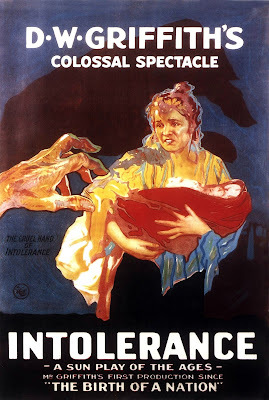 An original poster for 'Intolerance' (1916). Thanks to his background in theater, Griffith instinctively knew how to lay out a story such as that of 'The Birth of a Nation' so as to work in a crowded theater. He knew how to do this so well, he could do it in the new medium of film, without an audience present. To his collaborators and to studio executives, it must have seemed like magic. 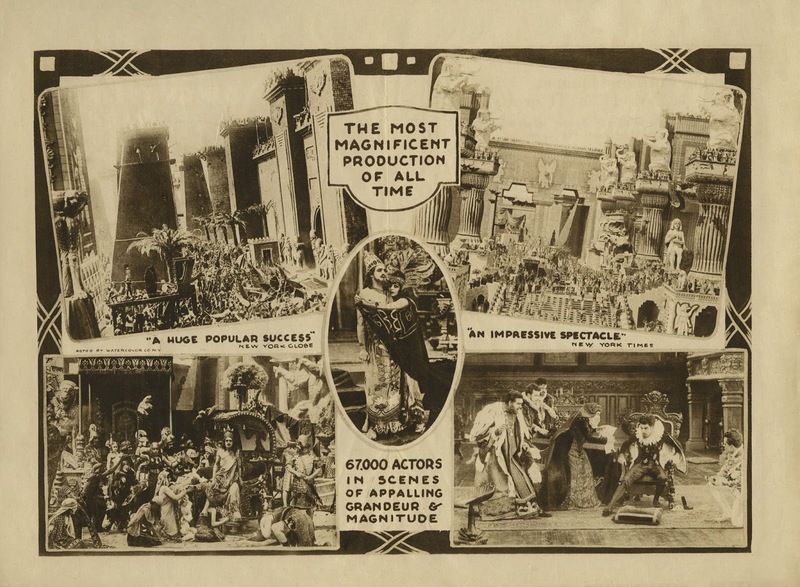 Because for awhile, no one's films sold tickets the way D.W. Griffith's films did. Once he started making "blockbusters" (a term from World War II not in use in Griffith's time), he showed once and for all that it was possible for a motion picture to the be main event of an evening at the theater, rather than just a sideshow novelty. Today, we can see movies on our own in ways that Griffith wouldn't have imagined: online, on our phones, etc. And. most significantly, alone. And Griffith's work, I think, suffers more than most because his films were designed from the ground up to excite crowds: the bigger the better! It's that very quality that helped make him the "father of film." Take away that part of the experience, and you rob much of the reason for why Griffith put together his films the way he did. For a long time, I shied away from accompanying this film, intimidated by its length (three hours!) 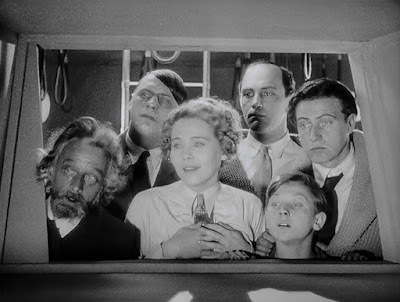 and thinking of its narrative complexity as something of an over-the-top gimmick ripe for satire, which Buster Keaton produced in his 'Three Ages' of 1923. I had better things to do. But I programmed it for the first time last year, and it turned out to be a highlight of my efforts as an accompanist. Run in front of an audience, the film leaped to life! And the final 30 minutes, in which all four stories are intercut faster and faster, was one of the most exhilarating experiences I've ever had in a theater. As the pace picked up, everything happened at just the right moment for maximum impact. Griffith's instincts were rock solid, then as now, and the sequence retains its power even to this day. It was incredible. It was inexorable. And I couldn't take my eyes off the screen! 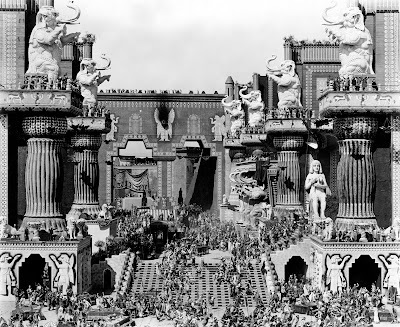 See for yourself by attending one of our upcoming 100th anniversary screenings of 'Intolerance.' More info below on the Jan. 27th screening at Merrimack College. ANDOVER, Mass.—It was a breakthrough that changed the movies forever: a three-hour epic knitting together four sweeping stories spanning 2,500 years, all designed to show mankind's struggles and the redeeming power of love throughout human history. See for yourself with a rare screening of a restored version of 'Intolerance' at the Rogers Center for the Performing Arts at Merrimack College on Wednesday, Jan. 27 at 7 p.m. In reviving 'Intolerance' and other great films of Hollywood's early years, the Rogers Center aims to show silent movies as they were meant to be seen—in high quality prints, on a large screen, with live music, and with an audience. 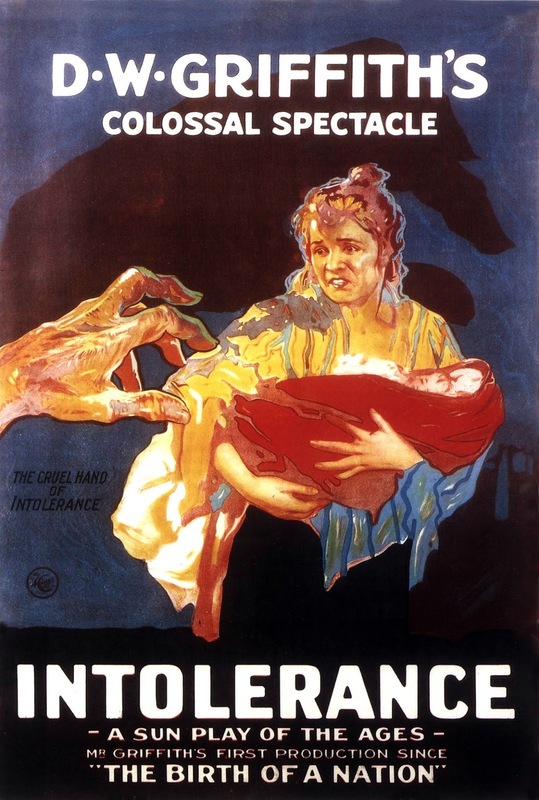 A French poster for a revival of 'Intolerance' (1916). "This movie was made for the big screen, and this screening at the Rogers Center is a rare chance to see 'Intolerance' the way it was meant to be seen," Rapsis said. ‘Intolerance' will be shown on Wednesday, Jan. 27 at 7 p.m. at the Rogers Center for the Arts, Merrimack College, 315 North Turnpike St., North Andover, Mass. The program is free and open to the public. For more information, call the Rogers box office at (978) 837-5355. For more info on the music, visit www.jeffrapsis.com. And what if it was discovered among his papers after his death here in New Hampshire a few years ago, and was now in bookstores? Wouldn't that just be flat-out amazing? 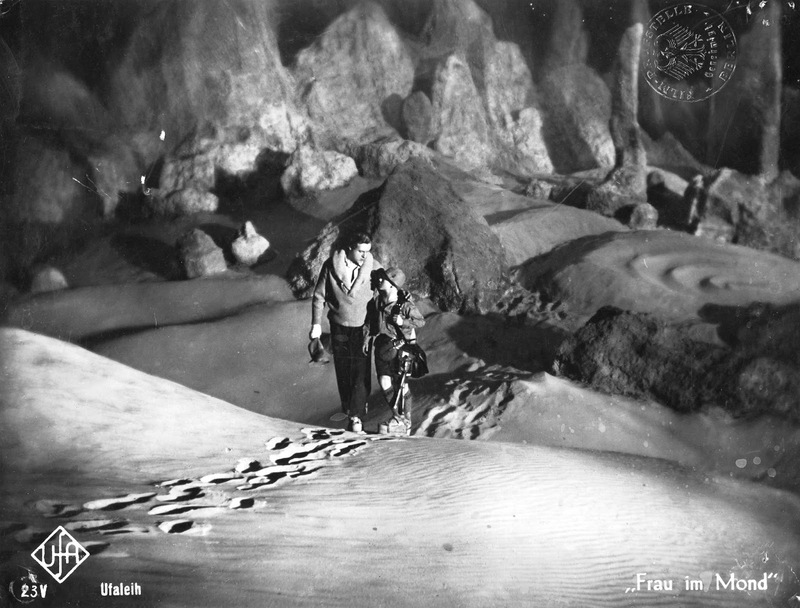 I imagine the excitement of discovery would be similar to what I felt when I first encountered Fritz Lang's 'Woman in the Moon' (1929). 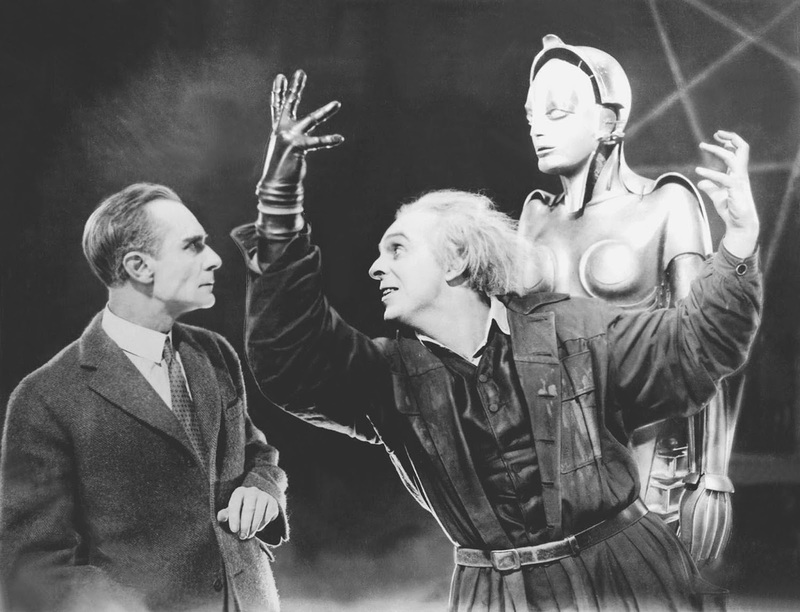 Even non-silent-film-fanatics are familiar with 'Metropolis' (1927), Lang's jaw-dropping futuristic silent film epic. 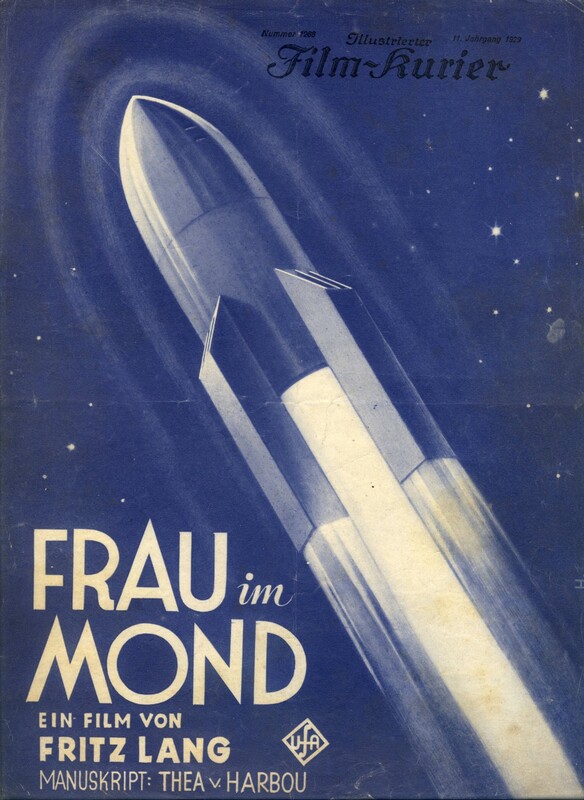 But very few people have heard of 'Woman in the Moon,' a space travel fantasy that Lang made afterwards on an equally grand scale. Why is 'Woman in the Moon' not better known? Reasons include its release at very tail end of the silent era, when all people wanted were talkies, causing the 'Woman in the Moon' to tank at the box office. And after that, Mr. Hitler came to power. He had some very specific ideas for all the German rocketry technology on display in 'Woman in the Moon,' and so suppressed the film, making it very difficult to see. Later, heavily edited "highlight" editions of the film appeared. These cut-down versions lack coherence, to put it kindly, further causing 'Woman in the Moon' to be regarded as something of a misfire. And there things stood until about 10 years ago, when a fully restored version of 'Woman in the Moon' was finally compiled from the best surviving material and restored to its original length of nearly three hours. What the restoration allowed us to see is a film rich with characters, humor, and a story line that pulls viewers along until a series of epic confrontations. Also, the film accurately depicts realistic moon travel a full four decades before the Apollo program was underway. Seeing it for the first time, I was thunderstruck. 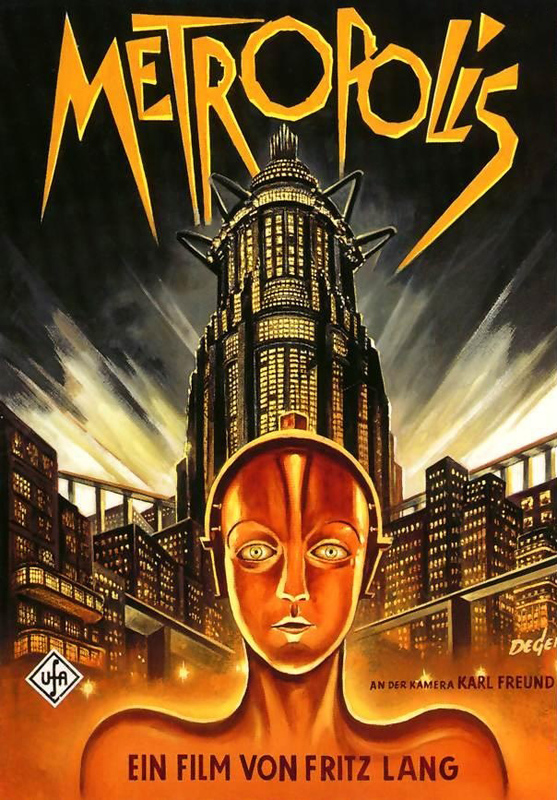 Although not strictly a sequel to 'Metropolis,' it plays like a continuation of the earlier film's vision, imagination, and audacity. Discover what this feels like by attending our screening of 'Woman in the Moon' at the Aeronaut Brewery in Somerville, Mass. on Sunday, Jan. 17 at 7 p.m.
More information about the film is in the press release below. And if you come, you'll be ready just in case a 'Catcher' sequel does turn up in J.D. 's papers. at Aeronaut Brewery in Somerville, Mass. SOMERVILLE, Mass.—A sci-fi adventure hailed as the first feature film to depict realistic space travel will be screened in January at the Aeronaut Brewery. 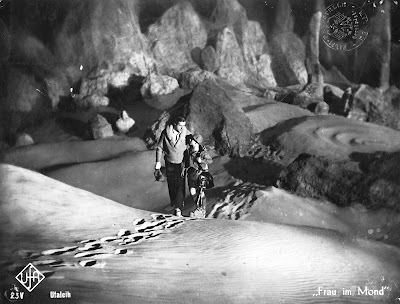 'Woman in the Moon' (1929), directed by German filmmaker Fritz Lang ('Metropolis,' 1927), will be screened with live music on Sunday, Jan. 17 at 7 p.m. at the Aeronaut Brewery, 14 Tyler St. (near Union Square), Somerville, Mass. The screening is open to the public and is part of the Aeronaut's commitment to showcase local music, art, and performance. Admission is an optional $10 donation per person to be collected during the screening. The cast of 'Woman in the Moon' views their destination prior to landing. "This is a great and at-times bizarre film, one that must be seen to be believed," said Jeff Rapsis, a New Hampshire-based silent film accompanist who will create live music for the Aeronaut's screening. "It's as entertaining as any spy-thriller. And as a past vision of a future that didn't quite come to be, it really gets you thinking of time and how we perceive it." 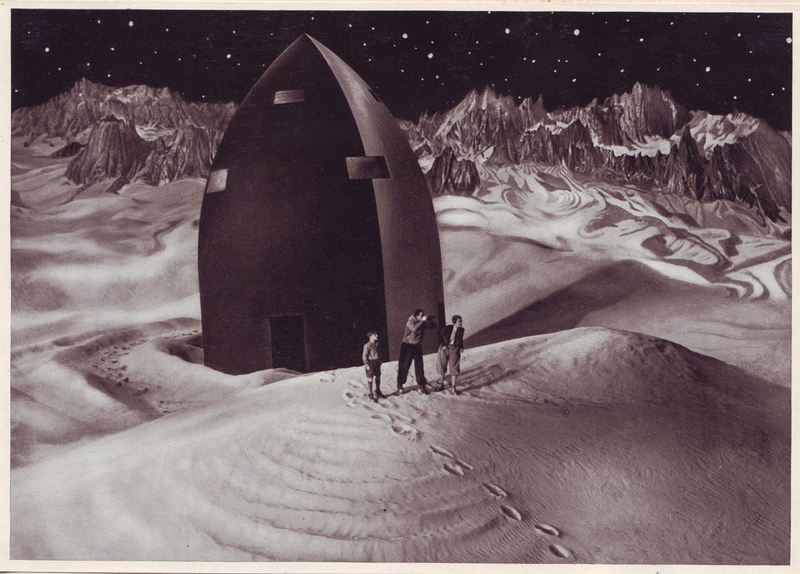 In 'Woman in the Moon,' large amounts of beach sand were used to create the lunar surface inside a studio. ‘Woman in the Moon’ will be shown with live music on Sunday, Jan. 17 at 7 p.m. at the Aeronaut Brewery, 14 Tyler St. (near Union Square), Somerville, Mass. Admission is an optional $10 donation per person. For more info, visit www.aeronautbrewing.com or call (617) 987-4236; for more info on the music, visit www.jeffrapsis.com. For more info on the music, visit www.jeffrapsis.com. 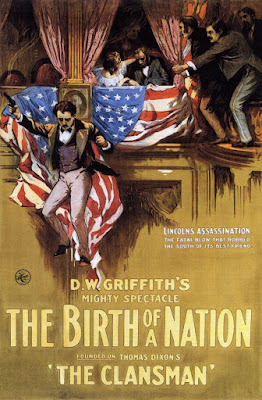 An original poster for 'The Birth of a Nation' (1915), showing the assassination of Abraham Lincoln. Our first screening of 2016 promises to be a doozey. 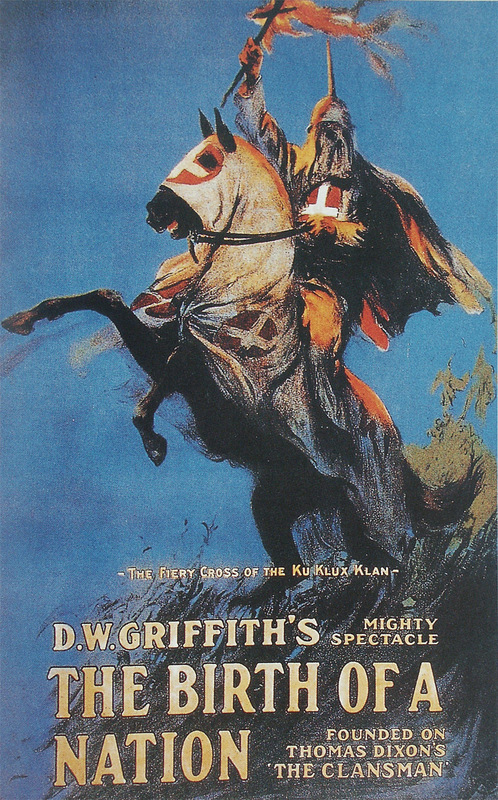 It's 'The Birth of a Nation' (1915), to be shown with live music on Thursday, Jan. 14 at 6:30 p.m. at the Flying Monkey Moviehouse and Performance Center in Plymouth, N.H. This has been controversial, as 'Birth' is a tarnished masterpiece. Yes, it was a ground-breaking feature film that showed the potential of cinema as an art form. 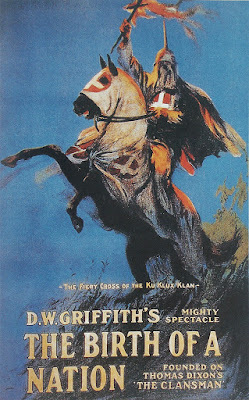 At the same time, it's an appallingly racist film that glorifies the rise of the Ku Klux Klan. But this is why I think showing the film is a fitting way to commemorate the work of Dr. King and all who have fought racism in this nation and everywhere. What better way to honor the efforts of those who have fought for equality than to bear witness to what they were up against? Isn't it worthwhile to see first-hand how pervasive racism was at one time in this country? Doesn't it help us appreciate how far we've come, but also put some perspective on how difficult it may be to maintain this progress? Isn't it worth seeing what was once reality, if only as a way of understanding what we should never allow to happen again? I want to thank Alex Ray, owner of the Flying Monkey, for supporting this screening and embracing the spirit in which it's being run. And me, I'm glad to address any concerns or questions. Although I'm currently traveling, I do have access to e-mail and can be reached at jeffrapsis@gmail.com. For now, here's the press release with more info about the film and the screening. 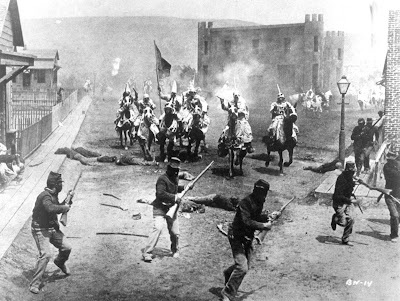 Klansmen ride into town in 'The Birth of a Nation' (1915). PLYMOUTH, N.H.—What if a movie was acclaimed as a masterpiece, but portrayed the Ku Klux Klan as heroes? What if a movie aimed to show the realities of life during the Civil War, and yet used white actors playing roles in blackface? What does it say if a movie was clearly racist, depicting blacks as an inferior sub-species to whites, but was still a box office smash? In honor of the film's 100th anniversary, as well as the 150th anniversary of the end of the Civil War, a restored print of the film will be screened in January to honor Martin Luther King Jr. Day at the Flying Monkey Moviehouse and Performance Center, 39 South Main St., Plymouth, N.H. The screening, part of the Flying Monkey’s monthly silent film series, will include live music and take place on Thursday, Jan. 14 at 6:30 p.m. Admission is $10 per person. The program will be accompanied live by silent film musician Jeff Rapsis. Rapsis, who programs the Flying Monkey's silent film series, specifically chose the occasion of Martin Luther King Day to screen ‘The Birth of a Nation,’ long regarded as a masterpiece of early cinema but tarnished by racism and prejudice. “Although ‘The Birth of a Nation’ has been reviled for its blatant and pervasive racism, it had a major impact when it was released and stands as one of the landmarks of early cinema,” said Rapsis, who will perform a live score for the movie. “Screening this compromised classic to honor Martin Luther King Jr. Day is a chance for today’s audiences to consider first-hand evidence of the obstacles to race equality that existed a century ago, to think about what progress has been made, and to also ponder how many of the prejudices on display in this film that we may still harbor, even unconsciously,” Rapsis said. 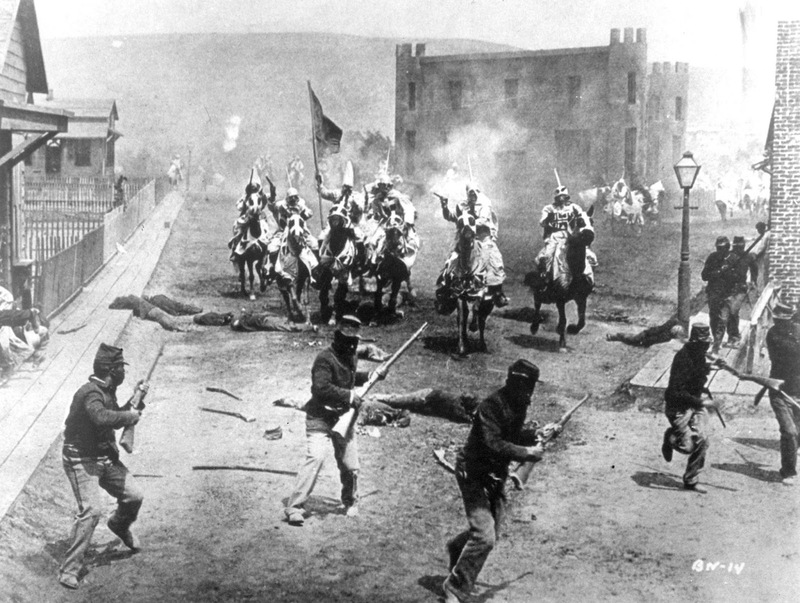 As the first-ever Hollywood blockbuster, ‘The Birth of a Nation’ thrilled audiences in 1915 with its large-scale wartime action sequences, its recreation of the assassination of Abraham Lincoln, and spectacular photography by cameraman G.W. "Billy" Bitzer. Has enough time passed for today’s audiences to regard this landmark film as an artifact of its time, or an indication of enduring prejudice? This Martin Luther King Jr. Day, decide for yourself how far we’ve come with a screening of a restored print of this tarnished American classic the way it was intended to be seen: on the big screen, with live music, and with an audience. The film stars Lillian Gish, Mae Marsh, Henry Walthall, and dozens of other silent-era performers. Gish, who died in 1993 at age 99, continued to act in films as late as 1987, when she appeared in ‘The Whales of August.’ Her later work includes an appearance on the TV series ‘The Love Boat’ in 1981. All movies in Flying Monkey's silent film series were popular when first released, but are rarely screened today in a way that allows them to be seen at their best. They were not made to be shown on television; to revive them, organizers aim to show the films as they were intended—in top quality restored prints, on a large screen, with live music, and with an audience. ‘The Birth of a Nation’ will be shown on Thursday, Jan. 14, at 6:30 p.m. at the Flying Monkey Moviehouse and Performance Center, 39 South Main St., Plymouth, N.H. Admission is $10 per person. For more info, call the box office at 603-536-2551 or visit www.flyingmonkeynh.com. For more info on the music, visit www.jeffrapsis.com.